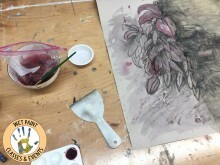 This class is geared towards adventurous individuals eager to explore new creative possibilities and the artist who wants to expand their drawing practice. The class will begin to uncover what it means to make experimental work. We will consider how other contemporary artists use experimental drawing as their primary artistic practice. Drawing will be the pathway to discovery and a way to unlock your creativity. Experimentation will be key to exploring the parameters of drawing. Working from observation to the abstract, participants will engage in a range of processes using traditional tools and materials in non-traditional ways, as well as using unconventional materials as a means to examine the possibilities of mark-making, space and surfaces. Spontaneity and improvisation are the methods of exploration in the creation of mixed media drawings as well as ephemeral works. Emphasis will be placed on examining the relationship between how drawings are made and what they potentially express. Shannon Brunette is Founder and Management Consultant of Office of Cultural Work, which support arts and cultural producers, from organizations to individuals. In addition, she co-founded The Drawing Project bringing nomadic drawing workshops to communities across the Twin Cities. Shannon is a leader in the field of arts non-profit and philanthropy with a focus on cultural work at the intersection of art and social change. 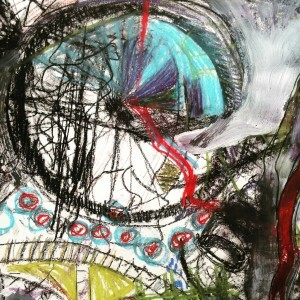 Brunette was a Jerome Foundation fellow-in-residence at the Anderson Center in Red Wing, MN and her work has been exhibited nationally in New York City, Washington D.C., Alaska, Minneapolis, and internationally in Berlin, Germany. Her professional work has put her in leadership roles at the Penumbra Theatre, Walker Art Center, The Solomon R. Guggenheim Museum, Blue Man Group, and Lambent Foundation as well as consultant roles at New York Foundation for the Arts, Lower Manhattan Cultural Council, The Soap Factory, and Northern Spark Festival. Brunette’s art practice explores cultural exchange opportunities, from Alaska video artist-in-residence focusing on climate change to a five-week international fellowship in exchange with traditional craftspeople of Orissa, India at Rughurajpur International Arts & Crafts Exchange. She is a 2017 James P. Shannon Leadership Institute fellow as well as a recipient of the 2017-18 MRAC Next Step Fund individual artist award. Shannon lived and worked in Brooklyn, NY from 1998 to 2014 where she received her MFA from the School of Visual Arts and now lives in her hometown of Saint Paul, MN.